Our mission is to provide products and services promoting financial security to individuals that will enable them to live with dignity in their retirement years. 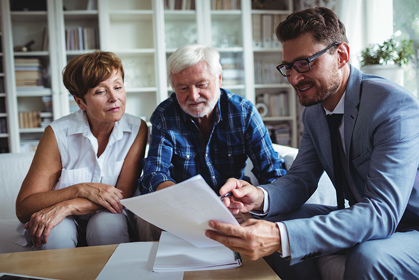 Oxford Life Insurance Company was founded in the Grand Canyon state of Arizona in 1965 and remains committed to supporting the senior market through Life Insurance, Annuity, and Medicare Supplement products that meet their financial needs. To best serve its policyholders and producers, Oxford Life continues to grow via the acquisition and development of companies and products. Oxford Life and its subsidiaries, North American Insurance Company and Christian Fidelity Life Insurance Company, work in unison to support their mission of enabling seniors to live with dignity in their retirement years through financial security. Oxford Life is a strong player in every field where it competes, and constantly strives to be a leader in the industry in all categories. Oxford Life Insurance Company manages its business strategy on a consolidated basis including its subsidiary companies, North American Insurance Company (NAI), and Christian Fidelity Life Insurance Company (CFLIC). Christian Fidelity, with over 50 years of experience, is a high-quality Medicare supplement and final expense life insurance company with competitive premiums, excellent service, and high-quality products. North American, founded in 1987, is one of the industry’s premier third party administrators of Medicare supplement insurance. North American services approximately 60,000 Medicare supplement policyholders throughout the United States. Oxford Life is a member of AMERCO, a publicly traded financial holding network. AMERCO’s other significant holdings include U-Haul International Inc. and Repwest Insurance Company.